Zack Greinke threw 114 pitches, holding the Giants helpless into the seventh inning. By then, the Dodgers already wielded a 2-0 lead thanks to a majestic solo shot to center field off the bat of Joc Pederson. 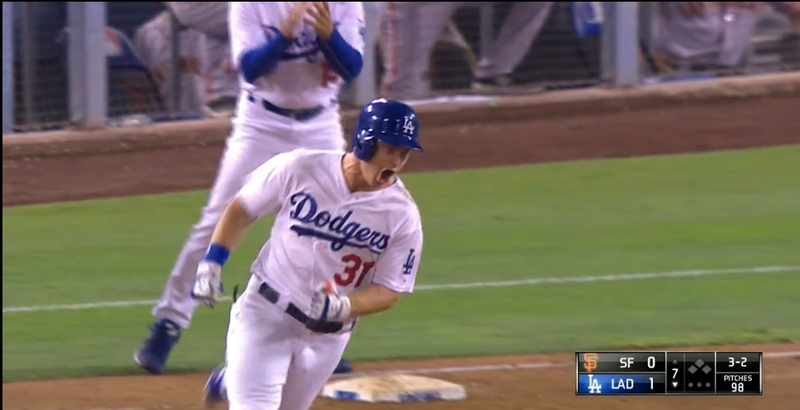 Pederson, who had been demoted to ninth in the batting order for this game, looked ebullient rounding the bases--Joc's emotion looked a lot like the type of energetic boost that this team so desperately needs (and has been missing from stoics like Jimmy Rollins and Chase Utley, fwiw). Pederson's HR off of "Ashley" Madison Bumgarner handed Bumgarner his seventh loss of the year. Two runs was all the Dodgers needed, as well. When Greinke exited the game with two on and a run already in (to make it 2-1), Luis Avilan got Brandon Belt to ground into double play to shut off the threat. Kenley Jansen came in for the ninth and seal the win. 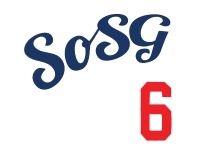 Dodgers are now 5.5 games up in the West, with one more game in this series tomorrow. Let's go, Dodgers! 641 GT comments in this series so far. Not bad! 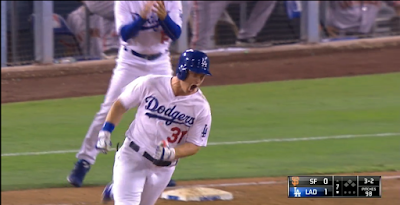 Joc was sprinting around the bases for that bomb! It was fun to watch. How am I ever going to make it through October when I'm stroking out on September 1st??? just want to point out about me and my Vin rant on the GT. there were many times where Greinke was pitching lights out at the 7th inning mark and Muttingly releaved him of his duties for no reason only to be a mutt.i was backing my homeboy up. if i'm wrong,i'm wrong and i will admit it. anyways no one is free from my wrath,not Vin nor anyone.for those who know me you know whats up. that's a wrap. peace out. @spank, that's why we love you around these parts! No worries on the rant. I didn't hear what Vin was saying at the time, but I get the stress levels! can we crack a grand tonight? So, I've been working on a theory. I think Jason Bateman might be the new voice of the Dodgers. Now here me out. It all started last season. Jason would be a recurring announcer for home games. Doing some color commentary, but otherwise doing the new batter or pitcher duties. Now this year, he has been to a lot of games, and has been sitting behind the visitor's dug out with an earbud in his ear, Paying almost no attention to anyone, except Stan the man Kasten. Otherwise he has been glued into the games taking notes. Then last night, after the first out in the 9th, he bolted down the stairs under the bleachers. I took my family up to see Vin do his walk to the elevator, and shortly after he left. Jason came out of the announcer's booth too. So, how would you feel if we got a Jason Batemen type calling the games after next year? Only he brings along Buster and Job.